Submitting you blogger sitemap to bing webmaster tool is just like you are telling to Bing and Yahoo search engines about content in your blog. So when someone comes and search something related to your content in Bing or Yahoo search engines. Bing/Yahoo will show your content in the search results and increases your blogger traffic in great way. Note: Submitting your sitemap to bing webmaster is enough, no need to submit your blogger sitemap to Yahoo. Because Yahoo search is get search results of bing. Please login into Bing webmaster tool by going through below link. Now click on signin button to login into Bing webmaster using your existing microsoft live account or create new one. Now enter your blog URL in the textbox and click on ADD button just like in the below picture. 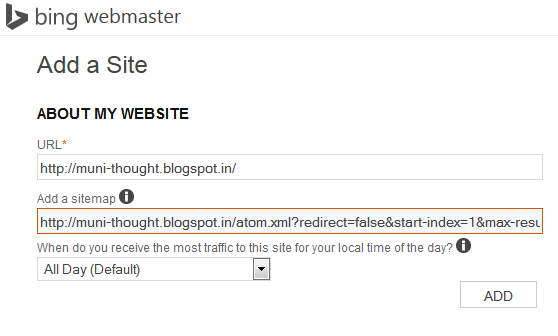 Now it will ask you to enter sitemap of your blogger. Before adding your blogger sitemap, please generate sitemap for your blog using below blogger sitemap generator tool . 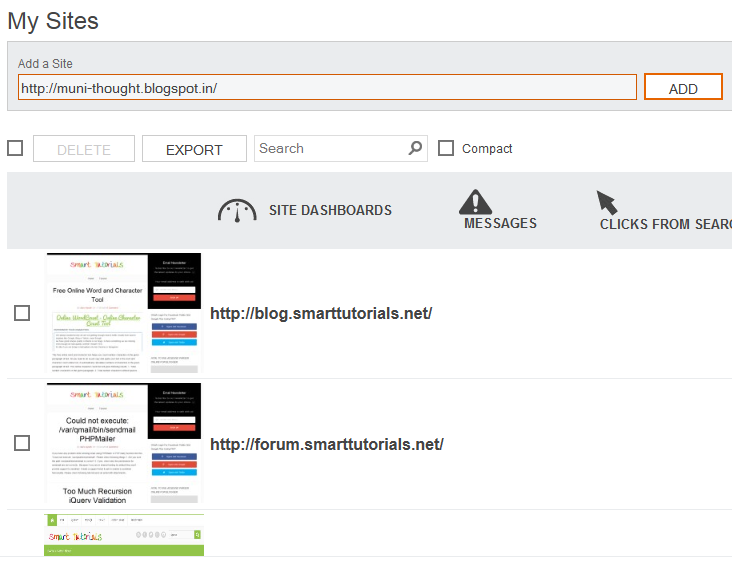 Enter your blogger URL and click generate button to generate sitemap. Once you generated your sitemap, then copy and paste that in Bing webmaster tool just like in the below picture. Now click on ADD button to finish your sitemap submission. Now it will ask you to verify ownership of your blog. So just copy that <meta> tag and paste it in your blogger just before closing of this </head> tag. 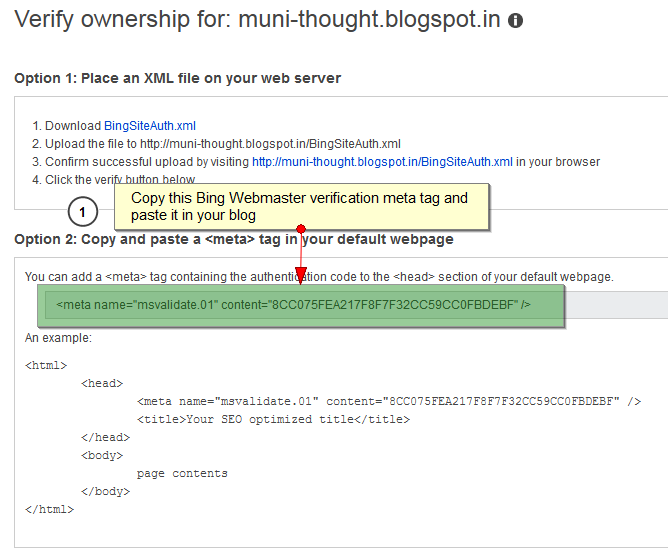 Now paste that bing webmater verification meta in your blogger just like in the below picture. Now click on the SAVE TEMPLATE button to apply the changes. Now go the Bing webmaster site and click VERIFY button. It checks and shows the verification success page. You are successfully added the sitemap of your blogger as well as verified ownership blogger. After successful completion your blogger sitemap submission to Bing webmaster tool, it shows following status of your blogger sitemap.